Contact Pen2Print who, after a friendly chat, they will talk you through each stage of the process and give you hints and tips on how to prepare a successful publication with free help and advice all along the way. When your manuscript is complete, it will be proof read and a type-setter will turn your manuscript in to book form. Everything about the book will be made with you in absolute control and you will make all the editorial decisions. While this is going on, a professionally designed cover will be created under your direction. All the way you will be offered their free advice. I have now successfully published seven publications with Pen2Print and I have no hesitation in thoroughly recommending them for your future book project. Remember, from a mammoth publication to just a small poem, you will still receive the friendly help and advice all along the way from an organisation who are always prepared to go that extra mile to make sure your project is produced as something very special." 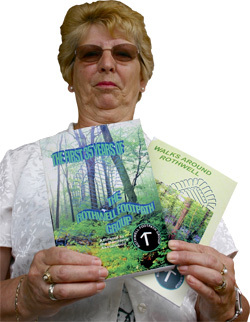 "Rothwell Footpath Walking Group are extremely grateful to Pen2Print; we found them very helpful at all times and gave excellent service to our group. The staff are wonderful and most patient and helpful in all aspects when requesting help in compiling and publishing our books. We were amazed how quickly Pen2Print can publish a book; nothing is too much trouble to them. 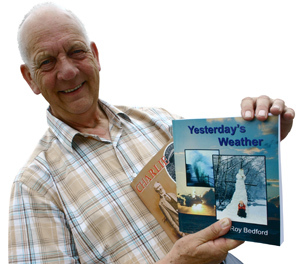 They are so accessible this helps take the stress out of getting our books published." "At last � a printer who understands what the writer needs. Not just a printer � Pen2Print take pride in working with the writers to help them present their manuscripts in the best possible way, agreeing content and quality before processing the books through the print shop. 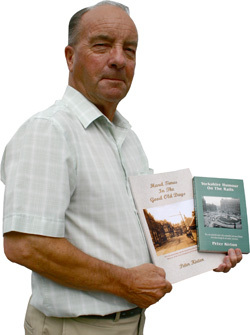 About fifteen years ago I published two books myself, contracting the work to a commercial printer. It cost me an arm and a leg. However, it�s completely different at Pen2Print. I don�t have to pay thousands for a job lot. Fifty this week, another fifty when those are sold. I only have to lift the phone and say, �Tom, another batch please,� and I can collect the following Tuesday. They also helped me to design a marketing strategy, and ring me occasionally to see how everything�s progressing. They are a friendly crew � it�s not just the money they�re after. They want to see their customers happy, successful � and rich." 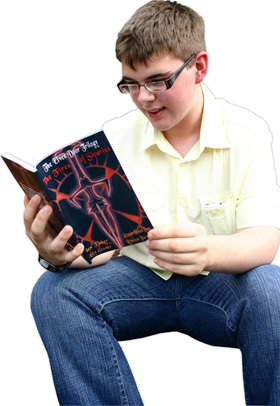 "I started my Work Experience at Pen2Print two years ago and was lucky enough to have my first book published while I was there. From writing my book as a simple, plain �Microsoft Word� document to getting it to the final publication, the company helped me work through each stage of the printing and publication process with speed and efficiency. It�s extremely easy to get anyone�s book into print and Pen2Print get everything done! From a simple hand-written or word-processed document, Pen2Print create an electronic copy of the manuscript (if needed) and type-set it using specialised software designed for creating books and other printed publications. Once a first draft of the publication is created, Pen2Print give the author a copy so it can be proof-read and finalized, before the final copy is printed. Professionally bound, Pen2Print even collaborate with the author to create a stunning cover for their book � offering professional services to make the book look as appealing as possible! Finally, Pen2Print even sort the ISBN numbers and get the book on the market for you! Nothing is too much trouble for Pen2Print and everything is done professionally and quickly. Prices are extremely competitive and everyone is so friendly. I would recommend anyone to Pen2Print for both their services and experience, as well as their results � which are second-to-none. All my publication needs from now on will be taken care of by Pen2Print and I am extremely grateful for everything they have done so far to give a young author a chance in what is such a competitive market."